Once he returned to the United States, he moved his young family to Oak Ridge, where he built his medical practice from the ground up, the release said. “David was able to follow his passion and his calling to help others by serving thousands of Anderson County families as their surgeon and the president of Oak Ridge Surgeons, the founder of The Vascular Diagnostic Center, and most recently as the director of the Wound Treatment Center at Methodist Medical Center,” the press release said. In the 45 years that Stanley has been an Oak Ridge resident, he has served as a volunteer and on committees of numerous local civic organizations, schools, and churches, and he “is always impressed by the efforts of the citizens of Anderson County to improve their community,” the press release said. In addition to this, he has served on an array of medical committees and also served as president of the International College of Surgeons, was a delegate to the American Medical Association and the Tennessee Medical Association, and was chief of staff at Methodist Medical Center of Oak Ridge. Stanley is married to Marilyn Stanley, who is a retired nurse and owner of Old Towne Inn of Oak Ridge and G.P. 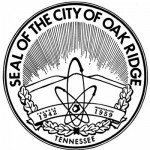 Developments, also of Oak Ridge. Stanley said he would also like to ensure that there are reasonable term limits set for all local government positions in order to encourage fairness and transparency among local lawmakers. He is in support of limiting positions to two consecutive four-year terms, the press release said. There are three candidates for the District 7 seat on Charter Commission. Besides Stanley, the other candidates are Marjorie Mott Lloyd and Theresa Scott. You can follow our 2016 election coverage here. You can see the November 8 sample ballot, which includes Anderson County Charter Commission candidates, here.